More than just a supplier, we’re here to provide the most comprehensive kitting, assembly and value add solutions to our customers. By investing so heavily into our post-molding capabilities, we have the ability to be a single source partner for our customers and offer competitive pricing by taking some of the workload off their plate. Whether our customers are completing assembly in-house or sending products to a different assembly supplier, our expertise cuts down lead time and allows the option for JIT delivery of your fully assembly products. The definitions are based on typical terms used in the injection molding process and where applicable to post molding activities. Already Have A Project to Quote? 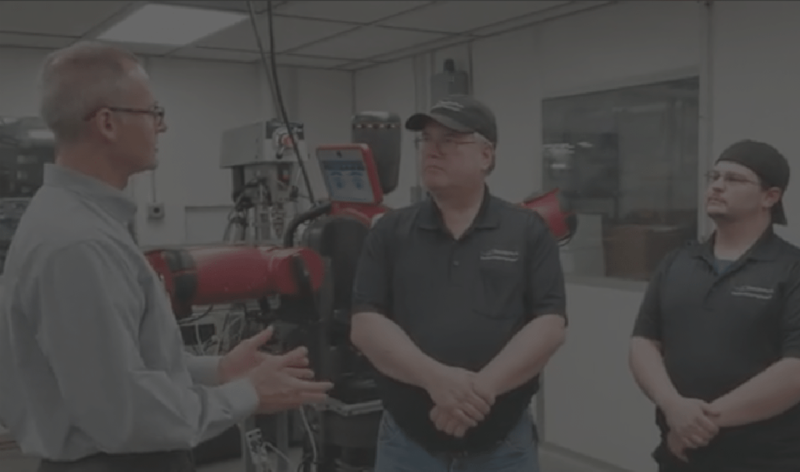 These value add operations can be performed in our general molding facility and our Class 7 (10K) clean room facility, whether it’s utilizing our skilled labor or our collaborative robots and automation. We have the ability to perform simple to complex operations depending on your requirements, if you don’t see a service listed, please ask we provide several custom operations per customer request. Automation and robotics are heavily-integrated throughout our injection molding processes and post-molding operations by separating runners from parts, feed and unload injection molding presses, assemble components, sort and package parts, and more. The utilization of this automation gives our customers an advantage by increased throughput and overall time & cost-savings. Our continued investments into technology has given us the ability to offer additional services. We understand the ultimate goal is cost-savings for our customers’ so we have positioned ourselves as a full-cycle manufacturing partner through enhanced processes and advanced technology. We utilize Baxter, Sawyer and Universal robots to perform highly specific actions with an extremely high degree of accuracy. Our in-house dedicated automation team focuses on programming our robots to achieve increase throughput and cost savings. We offer a variety of options that are available to industrial robots and automation customized to match the product being handled and can perform a variety of manufacturing tasks. These task require use of vacuum cups, grippers, nippers, sprue pickers and sensors. We utilize cellular manufacturing to perform a variety of multi-task functions within a given work space. This minimizes the hands-on involvement in the overall project and are designed by our in-house automation team working in conjunction with outsourced partners as needed. Our highly-skilled engineers couple with our diverse capabilities gives us the opportunity to offer our customers’ a true single-source manufacturing partner. We offer custom solutions for the most challenging engineering applications. Our unique abilities eliminate the need for additional sources for your manufacturing needs by providing single-source & cost-effective solutions. Quick Response Manufacturing (QRM) is a company-wide strategy to cut lead times in all phases of manufacturing and office operations. It can bring your products to the market quickly and help you compete in a rapidly changing manufacturing arena by enhancing overall performance. QRM provides principles and tools to create cells in high-mix, low-volume, customized environments. They are designed around a specific market segment where shorter lead times provide the company with maximum benefits from the shop-floor to engineering-offices. QRM applies time-based management principles to all parts of the organization including office operations, material planning, production control, supply chain, and new product introduction. QRM’s cellular structure is complemented by a thorough understanding of system dynamics specifically tailored for high-mix environments. The application of these principles leads to improved capacity planning and optimized batch sizes to achieve short lead times. Single-cavity to complex 96 multi-cavity tools including documented tool transfer process & scheduled preventative maintenance programs. Our In-House capabilities offer complete solutions, learn how at MD&M West 2019. Offering a comprehensive range of skilled labor, collaborative robots and automation. Our kitting and value add services lead the industry with solutions for complex assembly projects, talk with us at MD&M West in 2019. Single-source solutions from concept into production with 3d Printing (Additive Manufacturing), tool & part design and dedicated R&D Machinery. Our Project Management team collaborates, coordinates, communicates, and executes. Want to discuss at MD&M West this year?